Once again, Gujarat has been under the grip of natural calamity. Surat, in particular has been struck with devastating flood tragedy since August 8, 2006. Lakhs of people have been stranded and become homeless. For days together there have been no electricity, food, drinking water or milk. We pray for the peace and well-being of the flood victims. 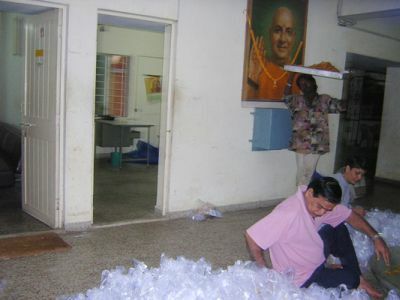 Sivannada Ashram, Ahmedabad immediately initiated to undertake relief efforts, under the guidance of Sri Swami Adhyatmanandaji Maharaj, to alleviate the sufferings of the distraught. 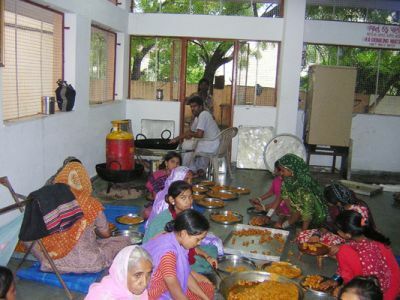 About 10,000 packages of food and snack were made by the people at the ashram and dispatched to affected areas to start with. Gujarat Divya Jivan Sangh, through its branches namely Valsad, Surendranagar, etc. 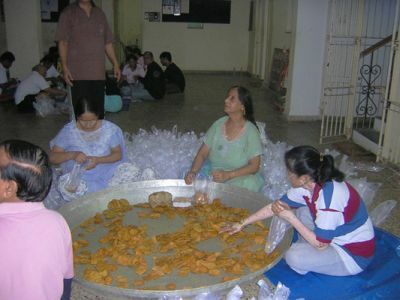 have also sent food packages and doing their best. Gujarat Divya Jivan Sangh, Jamnagar branch jointly with "Aanda Seva Sanstha" have given a medical aid of Rs.5 lakhs towards the flood relief. A team of doctors from Jamnagar will be looking after this work. All these have been possible only because of the generous donations to Sivananda Ashram, Ahmedabad made by selfless devotees of the Lord like yourself and we humbly request for your continued support towards these efforts of the Gurudev's Mission. "Service of humanity is worship of God" has been the fundamental teaching of Holy Master Sri Swami Sivanandaji Maharaj and Guru Maharaj Sri Swami Chidanandaji Maharaj. We realize that the magnitude of the problem is so great that all efforts will amount to just a drop in the bucket. However, every little effort has its own value. The ultimate goal is to further, spiritual growth for both those served and those providing service while simultaneously making a difference in people's lives.You may want to contribute towards these efforts.